Incomparable, a contemporary styled copper raised profile sink is a structural masterpiece and visual wonder. Those tight corners and hard angles may seem impossible in a hand-formed metal sink, but our master craftsmen, with their generations of experience, are up to the task. Every detail painstakingly done by hand, Tatra is modern and angular, with a quality gained from the countless hammer marks of hammered copper. 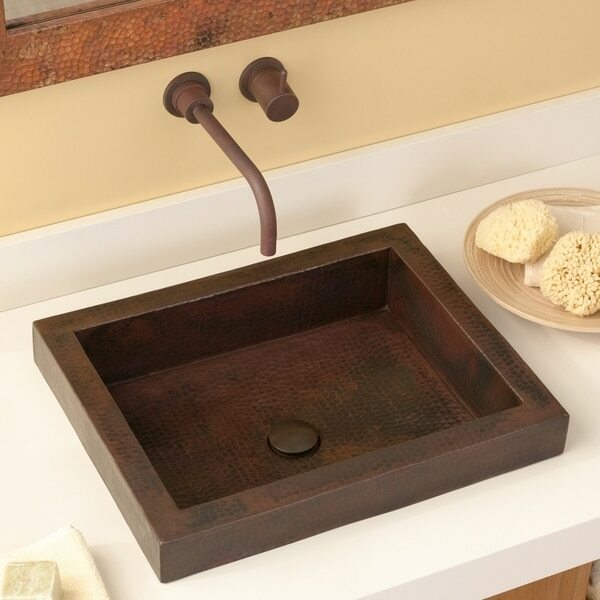 Tatra copper bathroom sink is artisan crafted; forged of high-quality recycled copper. Copper has been used for centuries in kitchens and baths throughout the world. Tatra brings modern functionality to a classic material. Dimensions 20.0 In. X 16.0 In. X 5.0 In.